The Nest is the ideal choice in Bequia vacation rentals with lots of exciting activities conveniently located nearby. There is a variety of water sports available within easy walking distance. Recommended is a day trip on Passion catamaran or a longer trip on Pelangi Yacht Charters or scuba diving at Dive Bequia or Bequia Dive Adventures which are all about a 10 minute walk away from our Bequia vacation rental. Other than these water activities and exploring the island on foot, Bequia is for total rest and relaxation with great dining out as an evening activity. 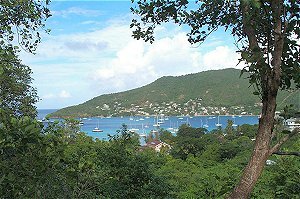 Bequia vacation rentals are a great alternative to traditional hotel accommodation. They represent superb value as you spend less and receive more – more privacy, more space and more facilities. You’ll enjoy have more space to be by yourself or more space to share with loved ones. Your Bequia vacation rental at The Nest also provides a fully-equipped kitchen so you can eat-in for some meals and when you don’t wish to go out to dinner.